29 Mar 2016 --- Campbell Soup has set a target of mid- 2017 to switch to selling cans that do not use the chemical bisphenol A (BPA) linings in the US and Canada. Campbell first disclosed that it was intending to shift away in 2012 from BPA linings, which is used to strengthen plastic and protects food from contacting metal, saying it was responding to customer concern. BPA has come under increased scrutiny as some research shows it poses health risks. In France, a decision was taken to ban BPA from food packaging in 2015. As an alternative to BPA, Campbell is using cans with acrylic or polyester linings in all its soups and pastas. It says it will have made a complete switch away from BPA in the US by the middle of 2017. 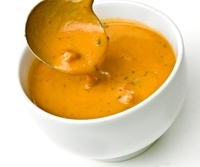 Campbell said it was on tracks to have 75 percent of its soup portfolios switched across by December this year. It said it was also testing alternatives to BPA coatings used on other packaging, including metal screw top lids on glass jars. In an effort to keep consumers abreast of its strategy, Campbell set up its website www.whatsiinmyfood.com, which updates them on its latest packaging innovations. BPA has been widely used in metal food packaging for more than 40 years. One problem encountered by Campbell has been finding linings which ensure the safety of its 600 different recipes, such as its tomato-based products, which are naturally acidic and can react with some linings.